This week’s #HandCraftedEdibles is all about the special diets. Making something for all your friends, and want to include someone who is vegan or gluten free or dairy or egg free? These are the cookies for you! 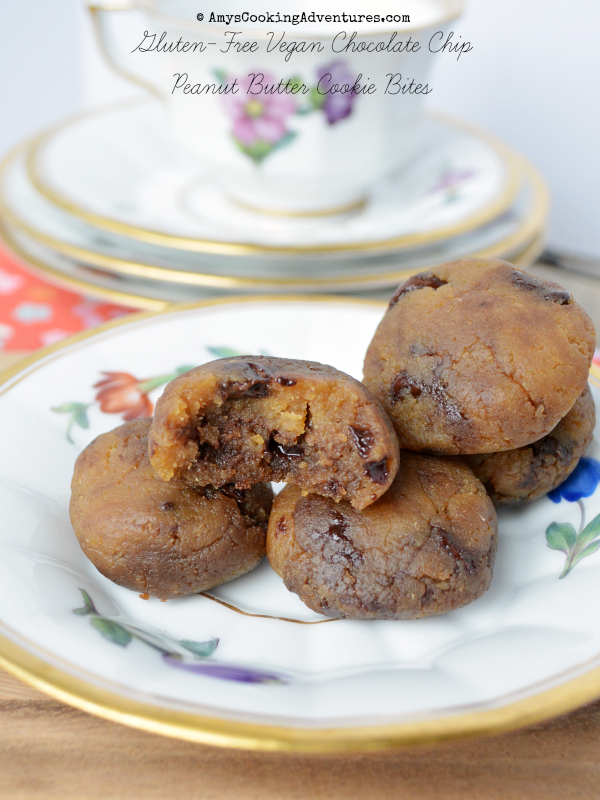 These sweet little cookie bites are everything except nut-free! Plus, they’re so delicious that no one will believe they’re made out of chickpeas! My kids and my husband’s co-workers had no idea! They just gobbled them up! 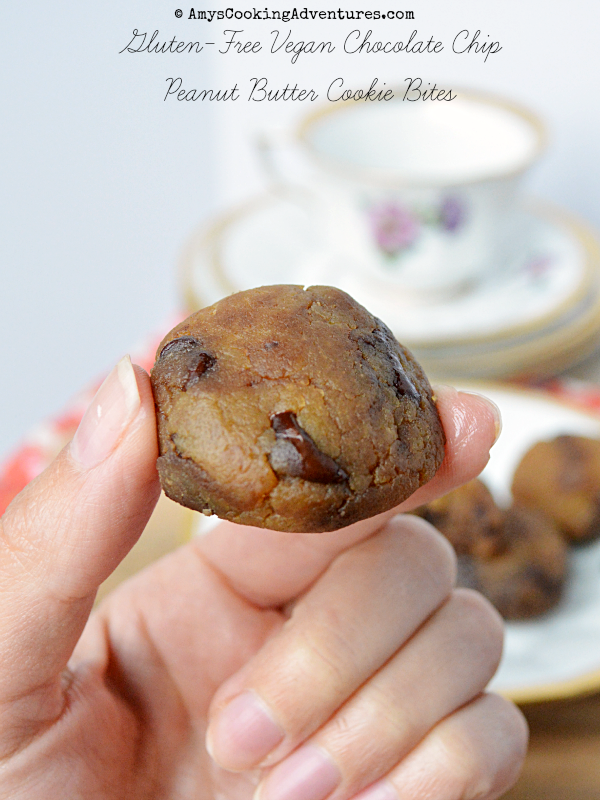 These are so tiny, you could easily package them in jars or just add them to your favorite cookie tray! Looking for more? 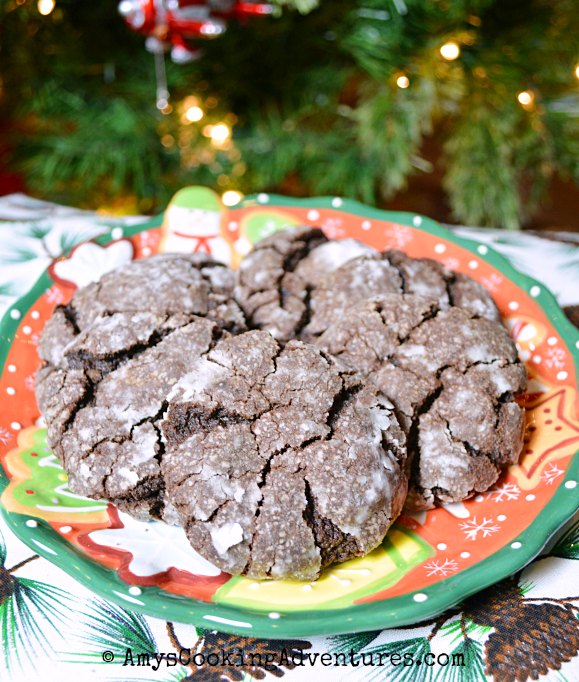 Don’t miss last year’s Vegan Crinkle Cookies! This week, we're sharing our favorite special diets creations. 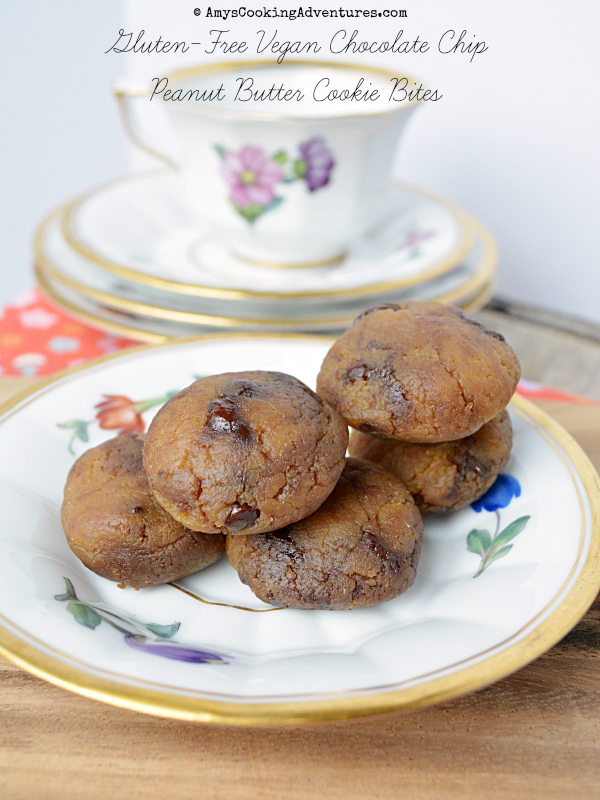 They might be gluten-free, dairy-free, nut-free, or sugar-free. Thanks to these gals and their Special Diets Creations! Next week, check back for our recipes for giftable jarred mixes. Or check out our #handcraftededibles pinterest board. Place the chickpeas, peanut butter, honey, vanilla and baking powder in the bowl of a food processor (NOT a blender or mixer). Process for 1 minute, then scrape down the sides and continue to process until the mixture is completely smooth (this may take several minutes). Remove from the food processor and stir in the chocolate chips. My dough was slightly warm from processing, so some of my chips melted a bit. Use a 1 tablespoon scoop to portion the dough. Roll the dough balls between your hands and press down slightly into a disc shape. Place on the prepared tray (the cookies will barely spread, so they can be quite close). Bake for 10 minutes, cookies will still be very soft, but have some cracking on the tops. Allow the cookies to cool on the trays for 5 minutes. Then move to wire racks to cool. Cookies are delicious any way, but best slightly warm. Very interesting using the chickpeas. I have heard of chickpea flour before though. 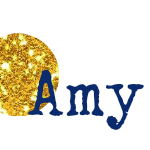 Thanks for sharing these, Amy! I have a newly vegan friend who is going to love getting a cookie tray for Christmas after all! These look delicious! They also look very healthy! Thanks for the no guilt recipe! I had no idea you could bake with chickpeas. That's awesome. They look tasty!